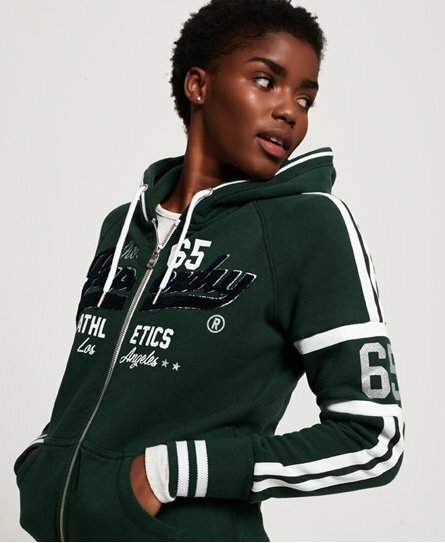 Superdry women’s Playoff zip hoodie. Layer up in style this season with the Playoff zip hoodie, featuring a drawstring adjustable hood, a Superdry logo graphic on the chest and two front pockets. The Playoff hoodie is completed with stripe detailing on the sleeves, cuffs and hem and a Superdry logo tab on the hem. Style with boyfriend jeans and a crew neck t-shirt for an off-duty look.